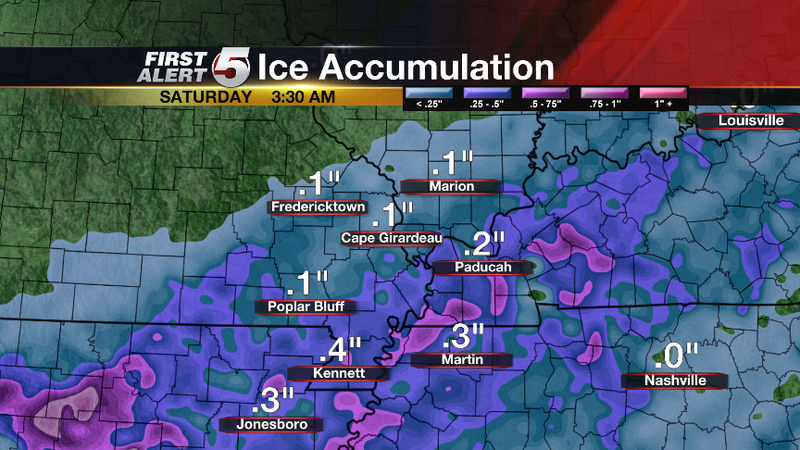 A quick update to let you see what the latest 12km RPM computer model is projecting for freezing rain/sleet and snow accumulations for parts of Missouri, Illinois, Kentucky, Tennessee, Arkansas and Indiana. 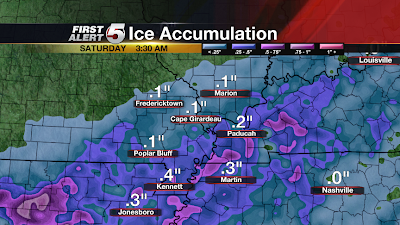 This is the afternoon RPM's projection of ice accumulation. 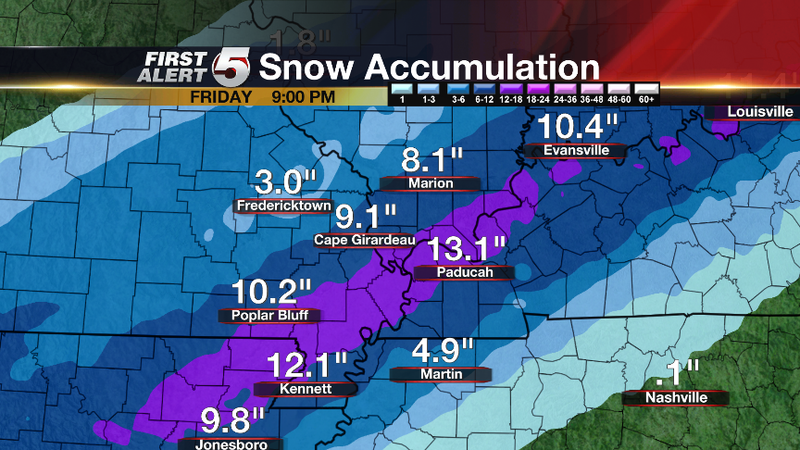 This is the afternoon RPM's projection of snow accumulation. 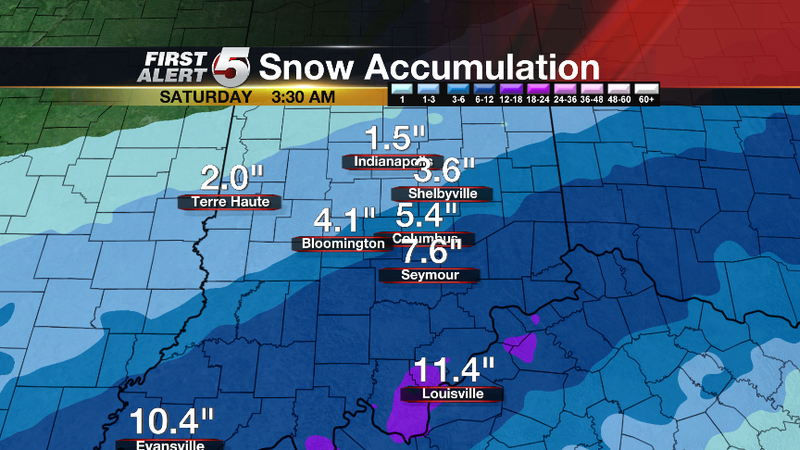 Finally, here is the model's snow projection for central/southern Indiana. 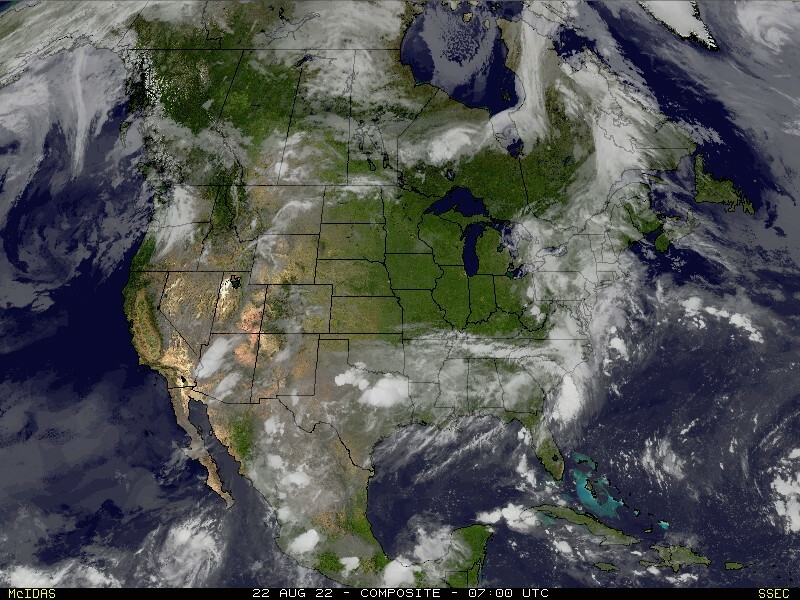 I suspect we will see these numbers bouncing around over the next 12-18 hours while the models try to fine tune their numbers. 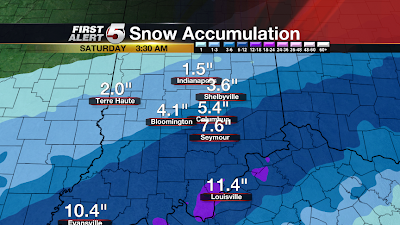 I suspect we will see the numbers going up a bit more for southern/central Indiana. 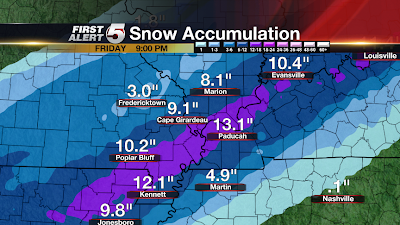 To see my latest snowfall projections, check out my blog post from earlier today. John-Thank you so much for all of the information you provide to us here in southeast Missouri. Really appreciate it during times like this! Thank you for keeping us informed during this time.